127 Lancasters and 8 Mosquitos of No.s 1, 3 & 8 Groups continued the Deception Raids on Coastal Batteries at Calais & Wimereux. The bombing was accurate; no Aircraft lost. Fate of this Aircraft – Lost without a trace over the English Channel – On Friday, 25 August 1944, (a part of) the Aircraft of the 7th Squadron (RAAF), took off for a Mission to Brest in France from a Station (Airfield) in or near Oakington. One of the Crew members was Flight Sergeant H Stenhouse RAAF. He departed for his Mission at 22:24. He flew with an Avro Lancaster (type III, with serial NE123 and code MG-J). His Mission and of the other Crew members was planned for Saturday, 26 August 1944. 1,012 Aircraft – 551 Lancasters, 412 Halifaxes, 49 Mosquitos – to Bomb Coastal Batteries at Fontenay, Houlgate, La Pernelle, Longues, Maisy, Merville-Franceville, Mont Fleury, Pointe du Hoc, Ouisterham & St Martin de Varreville. 946 Aircraft carried out their Bombing tasks. 3 Aircraft were lost – 2 Halifaxes of No 4 Group on the Mont Fleury Raid & 1 Lancaster of No 6 Group on the Longues Raid. Only 2 of the Targets – La Pernelle & Ouisterham – were free of cloud; all other Bombing was entirely based on Oboe Barking. At least 5,000 tonnes of bombs were dropped, the greatest tonnage in one Night so far in the War. Craig’s Aircraft Target was a Gun Battery at Merville-Franceville is on the Normandy Coast 20 Km Northeast of Caen. It was part of the German defences known as the Atlantic Wall built to defend Western European Coasts from invasion by the Allies. The 640m by 460m Battery Site was located just Inland of the Coast with the forward Observation Bunker on the Beach on the East side of the Orne estuary and they were linked by an underground armoured Telephone Cable. Together they controlled Maritime access to Caen some 15 Km up the River Orne and the adjacent Canal de Caen a la Mer. The Allied Commanders had designated the Battery as a priority on D-Day objective because it directly threatened the Sword Beaches beyond the Orme Estuary to the West. It was attacked a number of times by the RAF before D-Day. The Batteries firepower consisted of WW1-vintage Czech M.14/19 100 mm guns inside massive concrete Casemates covered with soil and grass to blend in. There was also a Command Bunker, a Personnel bunker, Machine Gun Emplacements, various Outbuildings & shelters surrounded by rows of barbed wire and an Anti-Tank Ditch on the Coast facing side. British, American & Canadian Divisions landed on 5 Normandy Beaches early the next morning. Fate of this Aircraft MG-B. On Friday, 23 June 1944, (a part of) the Aircraft of the 7th Squadron (RAAF), took off for a mission to Coubronne, Ecques in France from a Station (airfield) in or near Oakington. One of the Crew members was Flight Lieutenant C H Drewer RAAF. He departed for his Mission at 00:02. He flew with an Avro Lancaster (type III, with serial ND590 and code MG-B). His mission and of the other crew members was planned for Saturday, 24 June 1944. They did not return. 337 Aircraft – 195 Halifax’s, 122 Lancasters, 20 Mosquitos – attacked Railway Targets at Achères, Juvisy, Massey-Palaiseau & Versailles. Bombing conditions were better than on the previous night. All Targets were accurately Bombed and, although no details are available, it is probable that fewer civilians were killed. The Targets were mostly more distant from the Battlefront than those recently attacked and German night fighters had more time to intercept the Bomber Forces. 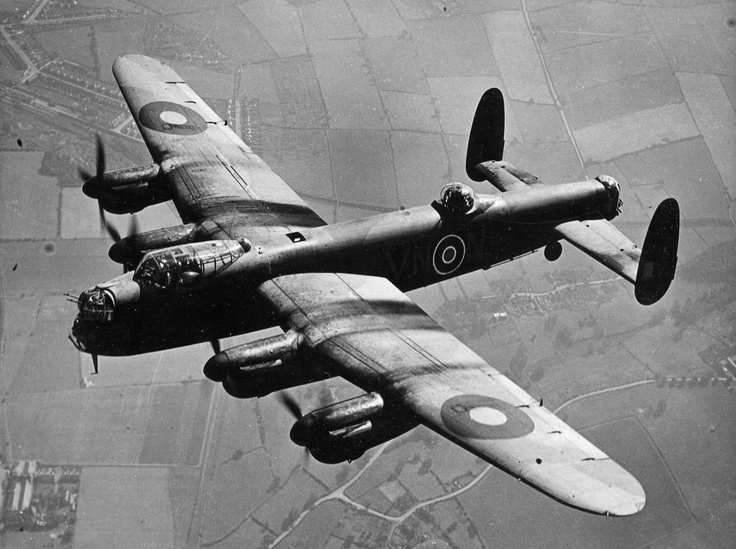 17 Lancasters & 11 Halifax’s were lost, 8.3% of the Forces involved. Fate of this Aircraft ND387 MG-C 1651 CU – Attacked & Destroyed 3rd March 1945 by JU88 Night Fighter as part of the stealth German Operation Gisela formulated to shoot down British bombers returning to Base. In early March 1945, the German Luftwaffe, in an isolated display of Resistance, developed a tactic which, had it been deployed earlier, could have neutralised the WW2 Operations of Royal Air Force Bomber Command. In the early hours of 4th March 1945, in Unternehmen (Operation) Gisela, some 200 Junkers JU88 Night-Fighters of the Luftwaffe Nachtjagdeschwader Gruppen (Night Fighter Destroyer Group) had been deployed to intercept the Allied Bombers returning to Base at their most vulnerable point, just before Landing. The marauding Aircraft crossed the North Sea at points stretching between the Thames Estuary and up the East Coast to the North Yorkshire Moors. The fact that these intruders were able to cross the North Sea Coast without being picked up by English Radar Operators would seem to have been a result of a degree of complacency that had set in amongst Bomber Command, as the Luftwaffe appeared to be subdued. 483 Aircraft – 286 Lancasters, 169 Halifax’s, 28 Mosquitos – attacked Railways at Alençon, Fougères, Mayenne, Pontabault & Rennes to prevent German Reinforcements from the South reaching Normandy. All of the Raids appear to have been successful. 4 Aircraft were lost, 2 Lancasters from the Pontabault Raid and 1 Lancaster & 1 Mosquito from the Rennes Raid. 432 Aircraft – 323 Lancasters, 90 Halifax’s, 19 Mosquitos – attacked Railway Targets at Achères, Dreux, Orléans & Versailles. All targets were believed to have been hit but few further details are available. 15 Lancasters & 3 Halifax’s lost. Fate of this Aircraft – This Aircraft was delivered to 32MU 30 Mar 1944 and issued to No.7 Squadron 6 Apr 1944. Between 18th & 20th June, it underwent local servicing and then continued in Service until its loss. ND852 wore the ID’s MG-G/D ND852 took part in the following key Operations: As MG-G, Essen 26/27th April 1944, Mailly-le-Camp 3/4th May 1944, Duisburg 21/22nd May 1944, As MG-D, Rüsselsheim 25/26th August 1944. When lost the Aircraft had a total of 262 hours. On Friday, 25 August 1944, (a part of) the Aircraft of the 7th Squadron (RNZAF), took off for a Mission to Bomb the Opel Factory in Russelsheim in Germany from a Station (Airfield) RAF Oakington. One of the Crew members was Flight Lieutenant T H Strong DFC RNZAF. He departed for his Mission at 20:59. He flew with an Avro Lancaster (type III, with serial ND852 & code MG-D). His mission and of the other Crew members was planned for Saturday, 26 August 1944. Did not return. 671 Aircraft – 348 Halifax’s, 285 Lancasters, 38 Mosquitos – of Nos 4, 5, 6 & 8 Groups to attack Communications, mostly Railways, at Amiens/St Roch, Amiens/Longueau, Arras, Caen, Cambrai & Poitiers. (It is interesting to note that, with the exception of Caen, all of these Targets were the Sites of well-known Battles of earlier Wars & Caen was soon to be the scene of fierce fighting.) Bomber Command’s records state that the Poitiers Attack, by No.5 Group, was the most accurate of the Night and that the 2 Raids at Amiens and the Raid at Arras were of reasonable accuracy. The Target at Cambrai was hit but many Bombs also fell in the Town. The most scattered attack (also by No.5 Group) was at Caen. 23 Aircraft – 17 Halifax’s & 6 Lancasters – were lost from these Raids; all of these losses were from No.s 4 & 6 Groups. 14 June 1944 – Le Havre Lancaster lll ND852 MG-D (2.45) Logbook denotes A J L Craig as Master Bomber it also notes (59 out of 60 Ships in this Target were sunk). The major Port of Le Havre is on the Atlantic coast in north-west France. 221 Lancasters & 13 Mosquitos of No.1, 3, 5 & 8 Groups carried out Bomber Command’s 1st Daylight Raid since the departure of No.2 Group at the end of May 1943. The objectives were the fast German Motor-Torpedo Boats (E-boats) and other light Naval Forces harboured at Le Havre which were threatening Allied Shipping off the Normandy Beaches only 30 miles away. The Raid took place in 2 waves, one during the evening and the 2nd at dusk. Most of the Aircraft in the 1st Wave were from No.1 Group and in the 2nd Wave from No.3 Group. Pathfinder Aircraft provided marking by their normal methods for both Raids. No unexpected difficulties were encountered; the Naval Port area was accurately Bombed by both Waves with 1,230 tonnes of Bombs and few E-boats remained undamaged. No 617 Squadron sent 22 Lancasters, each loaded with a 12,000lb Tallboy Bomb, & 3 Mosquito Marker Aircraft to attack the concrete covered E-boat Pens just before the 1st Wave Bombed. Several hits were scored on the Pens and 1 Tallboy Bomb penetrated the Roof. This Raid was regarded as an experiment by Sir Arthur Harris, who was still reluctant to risk his Squadrons to the dangers of Daylight Operations but both waves of the Attack were escorted by Spitfires of No.1 Group and only 1 Lancaster was lost. 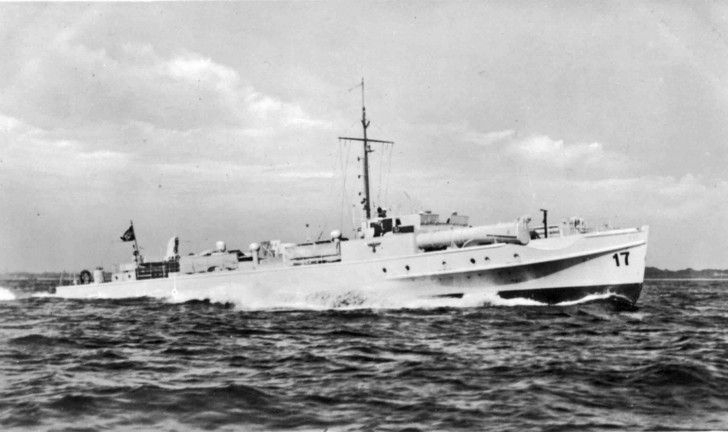 The E-boat was the British term for the WW2 German Schnellboot (S-Boot), a small fast Torpedo Boat of approximately double the size of an American PT boat and the British MTB. It is believed that the E stood for “Enemy“. Compared to the Allied Craft, many considered that the E-Boats were better suited for the open Sea and had a substantially longer range at approximately 700 Nautical Miles. 13th June 1944 – On this day the Germans launched the 1st of their ‘V-Weapons’ (the ‘V‘ is Vergeltungswaffe, in English: Retaliatory Weapons or Reprisal Weapons) when 4 – V1’s, also known as ‘Doodlebugs’, hit London. Around 30,000 V-weapons would Bombard South-East Britain before the end of the War in May 1945. For the rest of the summer of 1944 RAF Bomber Command & the US Army Air Force added the V1 ‘Ski-site’ Launch Platforms & Storage Depots to their list of Targets they were attacking daily: Barracks, Airfields & Railway Marshalling Yards. On the night 14th/15th June, 1944, Flight Lieutenant JG Musgrave, the Pilot of a Mosquito of the County of Warwick Squadron (No.605) and his Observer, Flight Sergeant FW Samwell, were over the Channel. Soon after Midnight, they saw coming from the Continent what Musgrave inevitably described as a ‘Ball of Fire‘ It flashed past on our Starboard side a few 1,000ft away and at the same height as we were flying. I quickly turned to Port & chased it. It was going pretty fast, but I caught up with it and opened Fire from Astern’. After 3 bursts from his Cannon, ‘there was a terrific flash and explosion and the thing fell down in a vertical dive into the sea. The whole show was over in 3 minutes‘. The Flight Lieutenant was, in all probability, the 1st member of the RAF to shoot down a Flying Bomb. This Weapon was one of the means by which Hitler hoped to restore the fallen fortunes of the Reich. The other was the V2 Rocket. (Pas de Calais Tactical Target). A further Operation was planned for the 21st but the Logbook notes (Master Bomber had to cancel the Raid – Low Stratus covered Target). V1 Facility finished in November 1943 – 405 Aircraft – 236 Lancasters, 149 Halifaxes, 20 Mosquitos – of No.s 1, 4, 5, 6 & 8 Groups commenced the new campaign against Flying-Bomb launching sites with Raids on 4 sites in the Pas de Calais area. All targets were accurately marked by Oboe Mosquitos and successfully bombed. No aircraft lost. ND906 / MG-N of No.7 (Pathfinder) Sqn. RAF Oakington, Cambs. Crashed 5th May 1944, Ashby St Ledger, Nr Rugby, Warwickshire. 322 aircraft – 165 Halifaxes, 142 Lancasters, 15 Mosquitos – 3, 6 and 8 Groups attacked 3 V1 Flying Bomb Sites. Because of cloud, 2 of the Raids were abandoned after only 17 Aircraft had Bombed; the 3rd Target, at St Martin l’Hortier, was Bombed through 10/10ths cloud. No Aircraft lost. The rough location of the V1 Launch Site at Coubronne, Ecques part of the Pas de Calais area in France. History of this Aircraft – MG-C ND387 was delivered to No.83 Sqdn 10th January 1944, to No.7 Sqdn 10th February 1944, to No.90 Sqdn 10th October 44, to 1651CU 18th February 1945. Took part in the following Key Operations; With No.83 Sqdn No operations; With No.7 Sqdn as MG-C, Leipzig 19/20th February 1944; Schweinfurt 24/25th February 1944; Stuttgart 15/16th March 1944; Berlin 24/25th March 1944; As MG-O, Mailly-le-Camp 3/4th May 1944; With No.90 Sqdn, Nuremburg 19/20th October 1944; Attenbeken 14th February 1945-daylight; with 1651CU-shot down by Intruder 3/4th March 1945. No record of total hours. Shot down 01.15 4th Mar 45 crashing near Woolfox Lodge Airfield, Rutland. Those killed are buried in various cemeteries in UK. Three are buried in Cambridge City Cemetery. F/S A Howard KIA sgt AW Darling KIA Sgt WJ Pullan KIA F/O KC Millar KIA F/S RB Wilson RNZAF KIA Sgt AW Taylor KIA Sgt J Thompson. 323 Aircraft – 202 Halifax’s, 106 Lancasters, 15 Mosquitos – of No.s 1, 4, 6 & No 8 Group attacked 3 V1 Flying Bomb Sites. The weather was clear and it was believed that all 3 Raids were accurate. 2 Halifaxes of No.4 Group were lost from the Raid on the Montorgueil Site. No.617 Squadron sent 17 Lancasters, 2 Mosquitos & 1 Mustang to bomb the Siracourt Flying-Bomb Store. The Mustang was flown by Wing Commander Cheshire and used as a low-level Marker Aircraft. The Mustang had only arrived at Woodhall Spa that afternoon, by courtesy of the 8th Air Force, and this was Cheshire’s 1st Flight in it. The Lancasters scored 3 direct hits on the Concrete Store with Tallboy Bombs and no Aircraft were lost. W/C Cheshire had to make his 1st landing in the unfamiliar Mustang when he returned to his Base Airfield after dark.